Use these date, 沈建德博士"台灣血統" and Marie Lin's latest study that "85% of people in Taiwan have aboriginal DNA in their blood", I think some serious genealogy study should be performed. 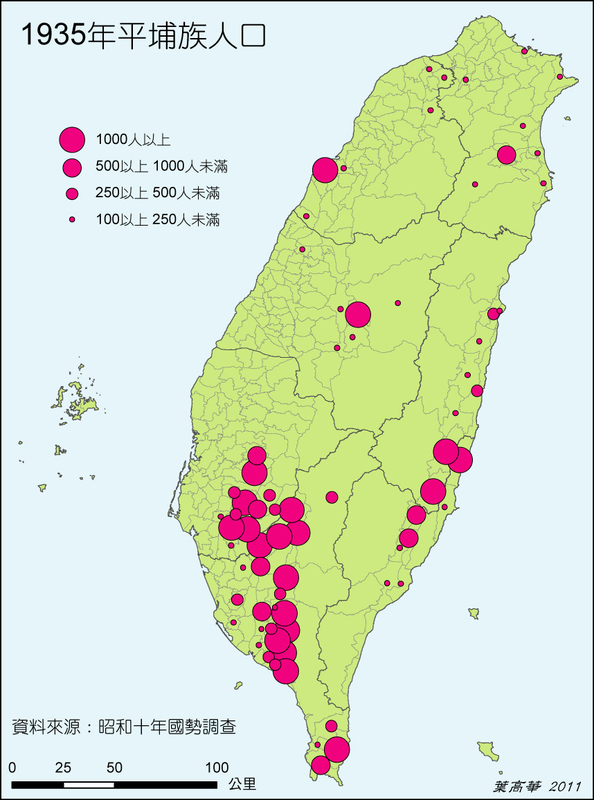 Perhaps some visualization animation can be produced to show how the Han-Aboriginal inter-racial marriages over 400 years ago had spread the mixed-blood distribution in modern Taiwan population. Unless a person is sure that both parents came to Taiwan in 1945-1949 from China, it is most likely that we are ALL decedents of Taiwan's aboriginal tribes due to the 400-year inter-racial DNA-passing (when Formosa was discovered by Dutch people)!! 平埔族在人口統計上大量消失，有可能是因為文化被強勢漢化後失去種族認同、平埔原有母系社會消失在漢文化父系社會以及通婚所致。- I always believe the above theory has a point. 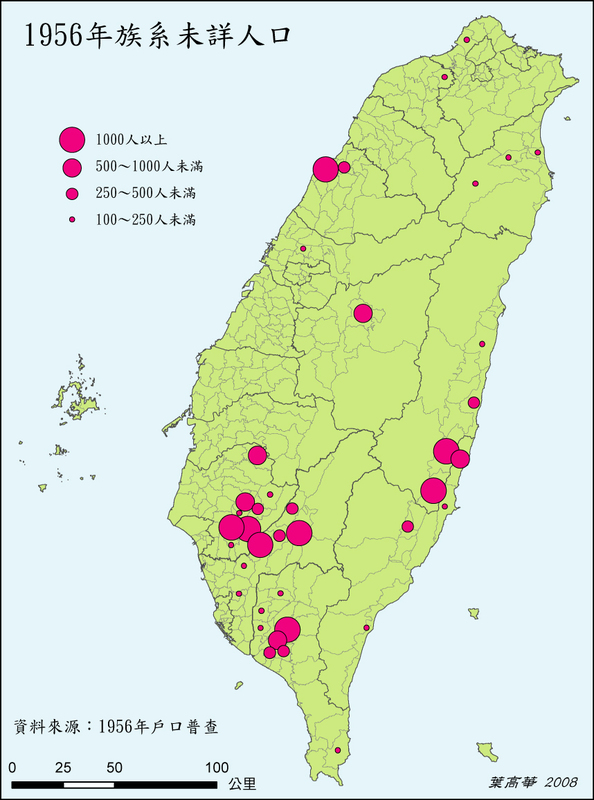 Since KMT regime moved in Taiwan between 1945-1949, many records have been distorted. 但這部分的研究尚少。- Who are doing the active research in this area? Perhaps I can contribute some effort for computer simulation on Taiwan 血緣 migration. 老頭子 - Nice to meet you here. You appears to be an open-minded person to look into the hidden truth. "設想，要把本身平埔身分隱藏起來的那一代，也大概都老去死去了。那麼後代更沒有可能發覺自己的身份了" - I assume that happened frequently in Taiwan (long long time ago), especially on the mother's side. We need to use other scientific methods (e.g., DNA and simulation) to find the hidden truth. The truth might be covered up for hundreds of years !! We need a systematic study to dig-out the truth.